The streetfighting champion of the world. 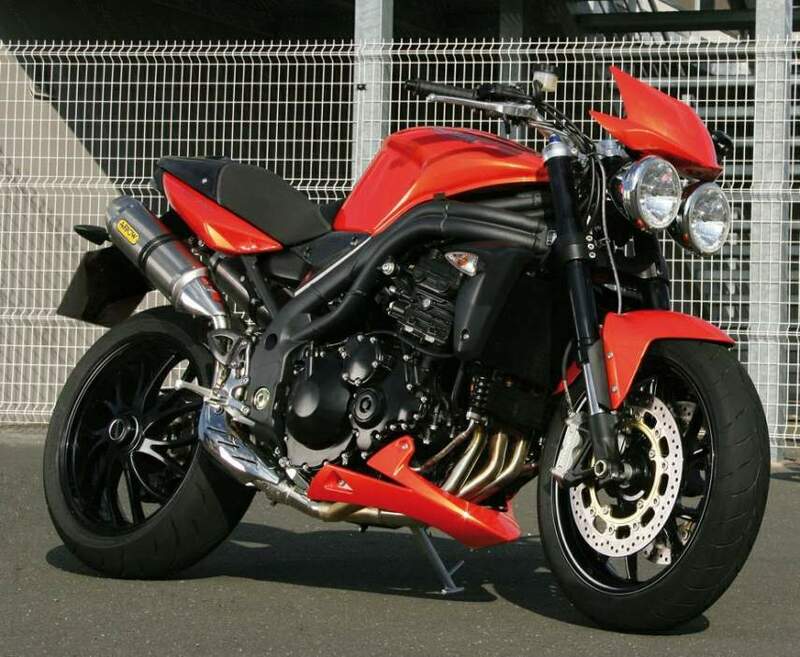 Triumph’s Speed Triple is a modern day classic, a perfect expression of the stripped-down, ready-for-action, naked sport bike. Many have come and gone since the first Speed Triple created the class in 1994, but the latest incarnation of Triumph’s naked sport still rules the roost. At 130, the Speed Triple has the most powerful version of the 1050cc three-cylinder engine snarling beneath the rider. Stripped for action from its iconic twin headlamps to the stubby rear end, the high-specification of the Speed Triple shines through. Make no mistake, this is no dumbed down sportsbike with the fairing off. This is the real deal. From the adjustable 43mm upside down forks to the four-piston Brembo brakes and tapered aluminium Magura handlebars, the Speed Triple boasts quality components from head to toe. Premium details like the single-sided swingarm and multi-spoke alloy wheels complete the unmistakable Speed Triple look, with the stubby dual exhausts delivering the unique three-cylinder soundtrack in booming stereo. 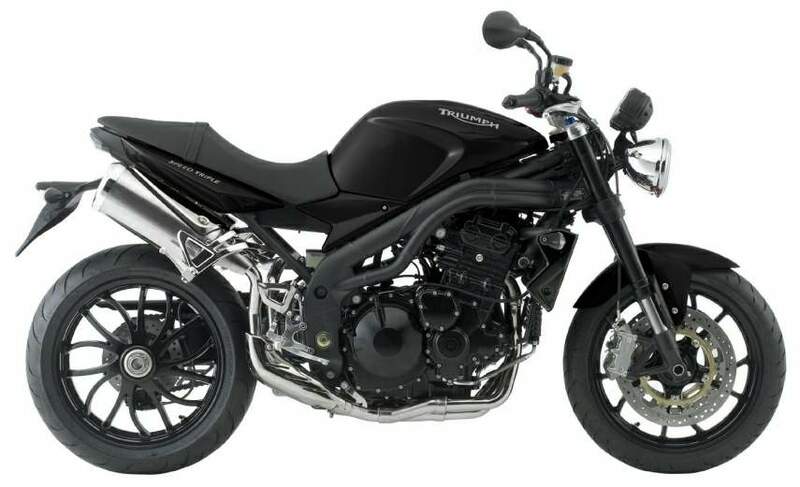 The Speed Triple’s 1050cc, three cylinder engine, with its unmistakable character and sound, pumps out a great surge of bottom-end torque, massive mid-range punch and an impressive level of overall power. Peak power is 131bhp at 9,250rpm while peak torque of 77ft.lbs arrives at 7,550rpm. Triumph’s Keihin ECU offers sophisticated mapping for quicker starting, cleaner running and fuel efficient engine. 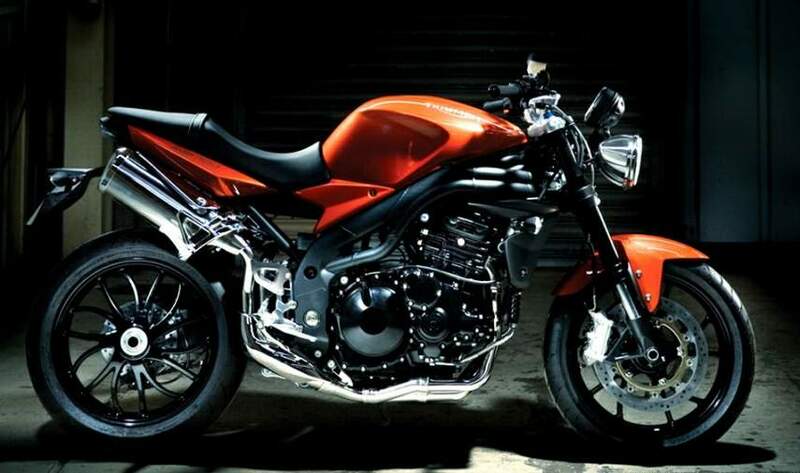 Multi-spoke alloy wheels add to the Speed Triple’s streetfighter attitude. The fully adjustable 43mm upside down forks and rear monoshock add superb levels of quality and control, while the new black anodized finish to the front forks amplifies the Speed Triple’s rebellious look. High-spec, twin Brembo radial front caliper four pad, four piston units, with a radial master cylinder, supply outstanding braking performance. The Speed Triple’s rear-end has sharp, minimalist styling and features a new rear sub-frame, polished stainless steel heat shields and repositioned ball burnished aluminum passenger footrests to give the passenger more leg room. It also sports a clear-lens LED rear light. Magura tapered, anodized aluminum handlebars are a sharp addition to the Street Triple’s minimalist styling.